-- Haunting dreams have come before for Ramona Damsun, but night after night, a vision pulls her, calling her back into the world she'd prayed she'd never have to face again. 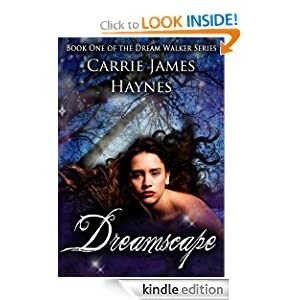 When the body of a brutally murdered young woman is found, Ramona is forced to once again walk and fulfill her destiny as a 'Dream Walker'. Reluctant, Ramona is thrown into the middle of a serial killer investigation. With no viable suspects or evidence, Chief Douglas Thorpe responds an anonymous tip which sends him into the eye of a storm to thwart an attempted abduction by the killer. The tip leads Thorpe back to Ramona. At first skeptical about any paranormal source of information, Thorpe is thrown into Ramona's world. A world he has no idea exists; a world where Ramona can walk through dreams, walk a soul back from the brink of death, and a world that holds untold terrors and hellish demons.